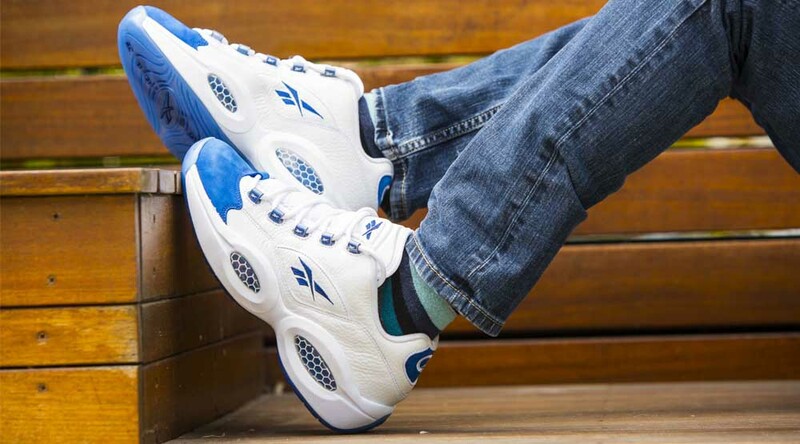 The white/red Reebok Question Low that arrived earlier in the summer isn't the only colorway of the shoe hitting this year. 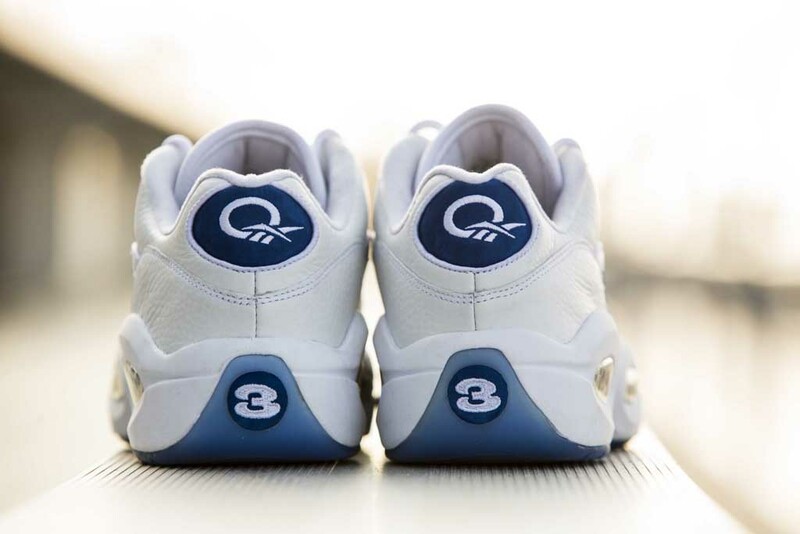 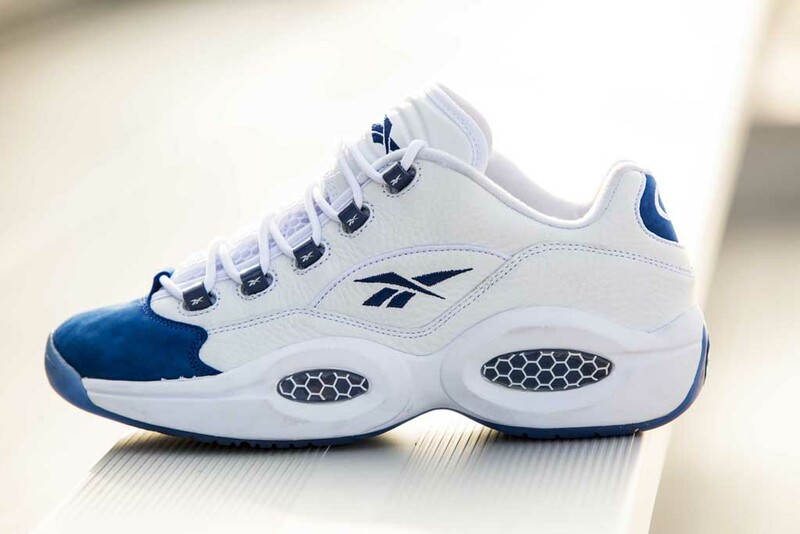 These product images promise the arrival of another Reebok Question Low, this time in a straightforward white and blue colorway. 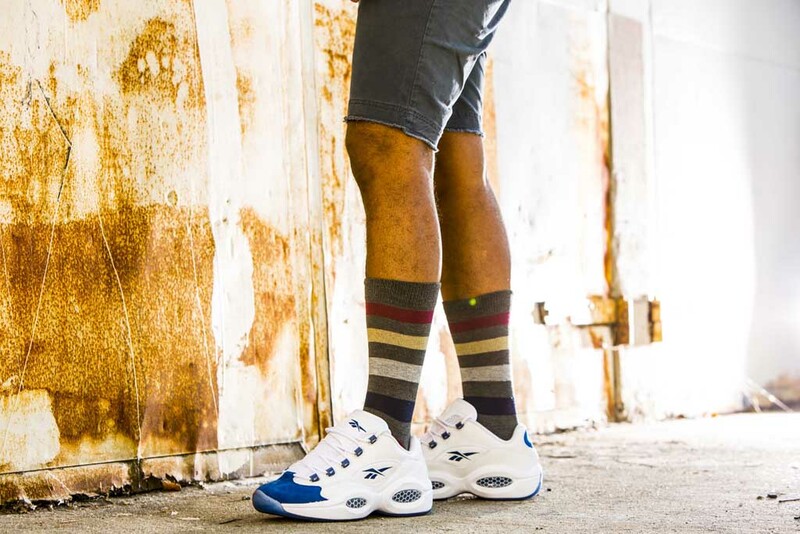 The shoe uses suede on the toes rather than the commonly used pearlized leather, a choice that might irritate those who prefer the original approach to this Iverson shoe. 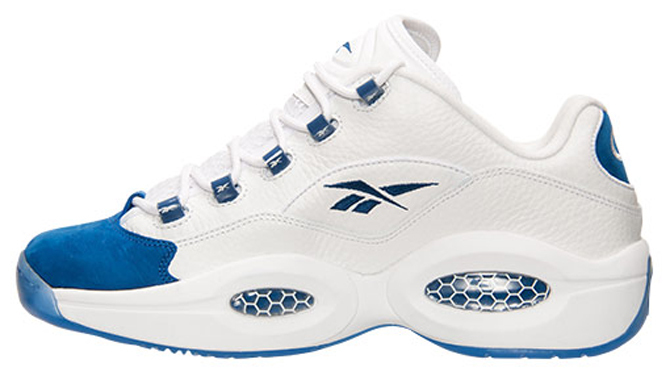 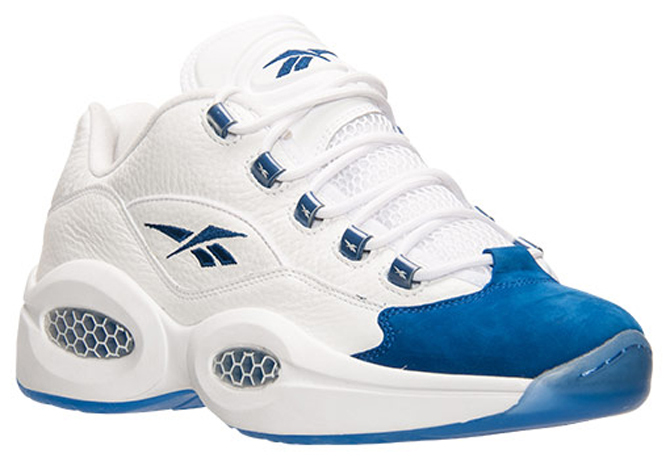 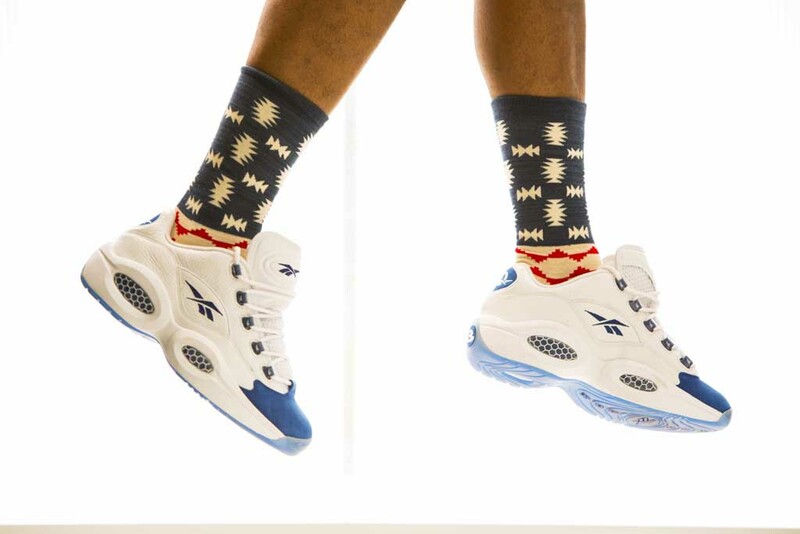 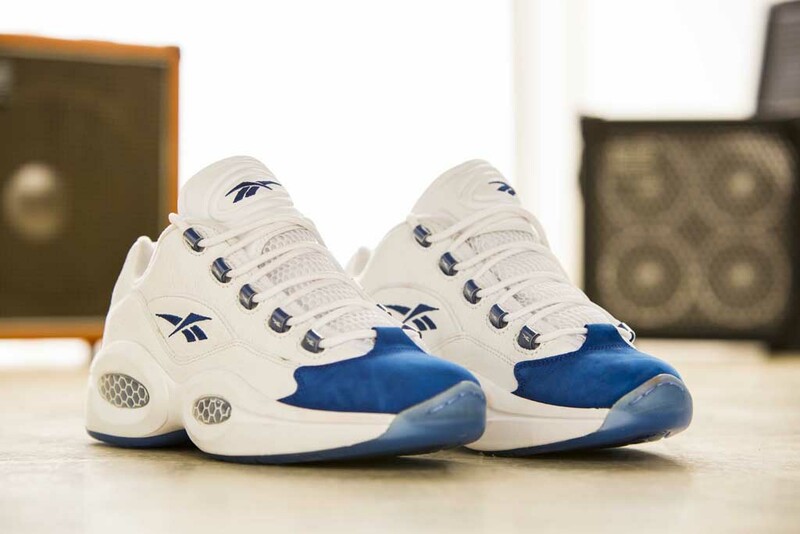 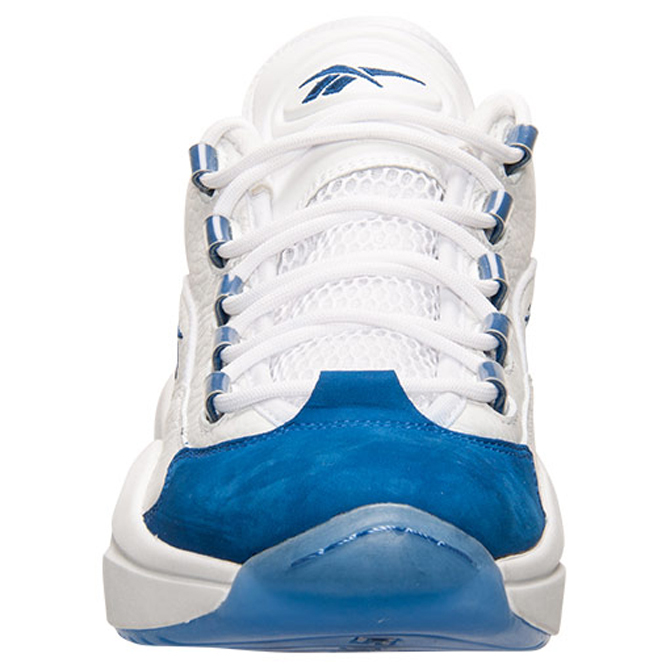 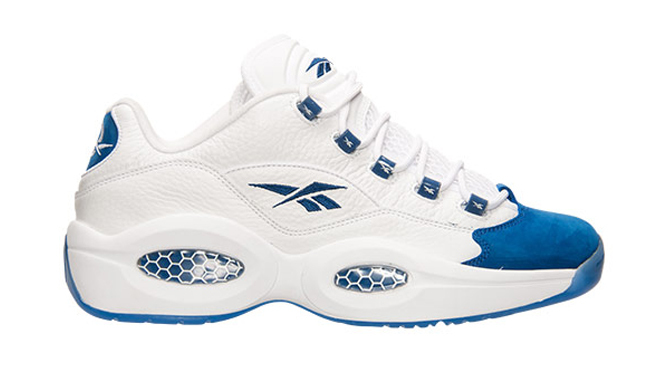 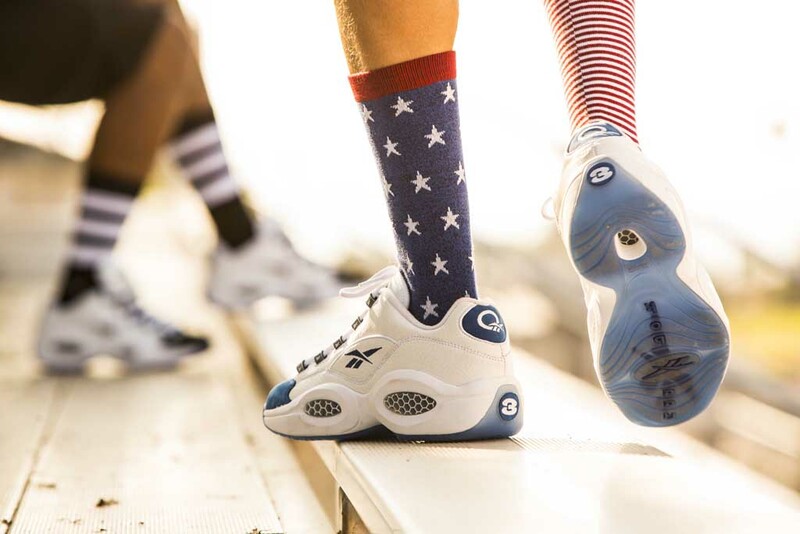 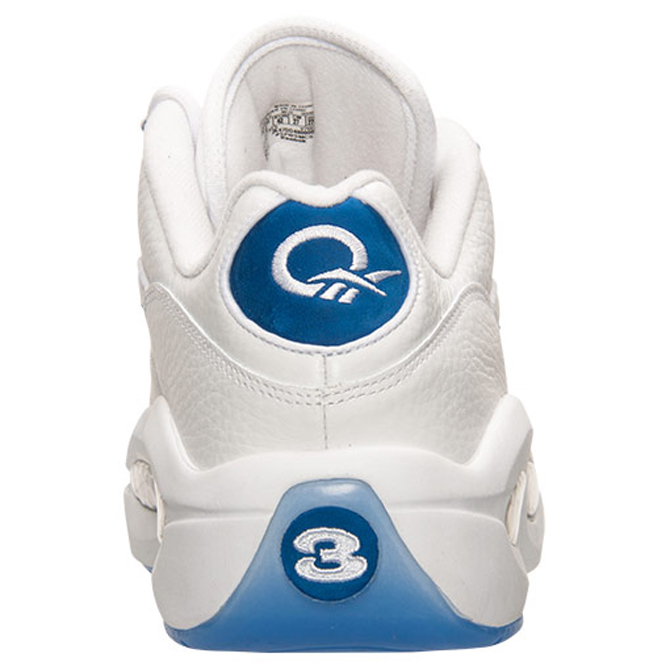 This Reebok Question Low in white/collegiate royal will be available exclusively at Finish Line on Sept. 12. 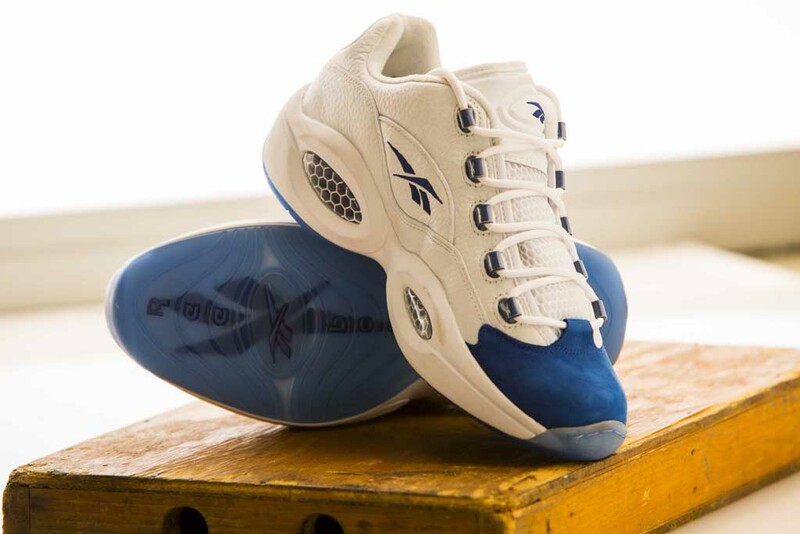 UPDATE 9/11: New detailed images of this upcoming Reebok Question Low from Finish Line.